Several potential causes exist for itchiness in a cat's ears but, for sure, the itching is a symptom of a problem. The problem, its cause and its solution need to be determined by a vet. Take your cat for a consultation if you see he's scratching excessively. Excessive scratching can result in an aural hematoma or in secondary infections due to open scratches. Itchy ears often signify that something's wrong. Ear mites commonly cause itchiness in cats' ears. Mites are easy to identify because they look like tiny waxy coffee grounds inside the ear. They produce a strong odor and often cause head-shaking and hair loss around the ear. Your vet will prescribe the right drops or cleaning solution to eradicate mites. This might include antibiotic drops if an infection is present. You might also need to clean your cat's ears at home daily until the problem is resolved. Fleas might not necessarily bite the inside of your cat's ears, but a bite on the head or near the ear could cause intense scratching -- and that could appear as if Kitty is scratching his ears. If you believe your cat might have fleas, get your vet's input and choose an insecticide that will eliminate them. Ear infection can cause itchiness and discomfort. Unfortunately, various other factors can cause infections, including autoimmune disease, yeast overgrowth, allergies or environmental irritants, foreign bodies and more -- so you won't be able to treat the problem until a veterinarian diagnoses the cause and prescribes the right treatment. Common treatments include antibiotics in injectable or oral form, anti-fungals or anti-parasitics, depending on what's causing the infection. 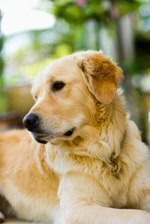 Allergies can cause red and itchy ears as well as runny eyes, swollen paws and wheezing or sneezing. To treat allergies, your vet will need to determine what's causing the allergy, since it could be anything from food to dust and mold pollens to a product you use to clean your home. Some cats are allergic to flea control products or to cigarette smoke. Skin or blood tests might help determine the cause of an allergy. Eliminating the allergen from the environment might be all you need to do to eliminate symptoms. Your cat might need to switch to an hypoallergenic diet. Do Cats Get Hay Fever?